Bringing lots of much needed jobs to the area, the residual waste treatment facility at South Kirkby, Yorkshire, which includes an autoclave-assisted anaerobic digestion plant, is designed undertake recycling and composting, as well as having refuse-derived fuel capabilities. The £80 million waste treatment plant forms part of an estimated £750 million waste management PFI contract, signed between Shanks Group plc and Wakefield City Council. At capacity the facility will process up to 230,000 tonnes per annum of municipal solid waste, which will help to increase the local authority’s landfill diversion rate towards 90%. Aarsleff was appointed by contractor Kier Construction Ltd, to undertake the foundation work, including dynamic testing, for the plant’s state-of-the-art Autoclave. The Autoclave is a critical part of the waste facility, as it is used to sterilise organic material that cannot be separated out and recycled before being fed into the 65,000 tonnes per annum anaerobic digestion plant, which produces biogas for renewable energy generation. Aarsleff designed and installed 1091 piles to support ten tanks, which will hold the organic waste, as well the building housing the Autoclave itself. The piles were driven into mudstone. 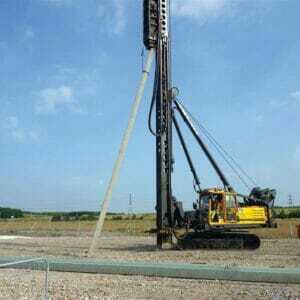 Specifically, some 1071 precast concrete reinforced piles, measuring 250mm sq. and 18, measuring 300mm sq. were installed in lengths of between 7 and 9m. All piles were supplied and manufactured by Centrum, Aarsleff’s wholly owned subsidiary based in Newark, Nottinghamshire. The eight-week project commenced in November 2013 and the piles were installed using Aarsleff’s own Banut 700 and Junttan PN20 piling rigs for phase 1 and phase 2 of the project respectively. Chris Scarr, Sub Agent Kier Infrastructure, speaking of Aarleff’s involvement on the project commented, “Aarsleff were employed as a subcontractor on the Wakefield Waste Project at South Kirkby to supply and install 906 pre-cast driven piles to two areas on site, within a seven-week period. They completed the works seven days ahead of their scheduled date, in spite of an initial delay due to design testing requirements. 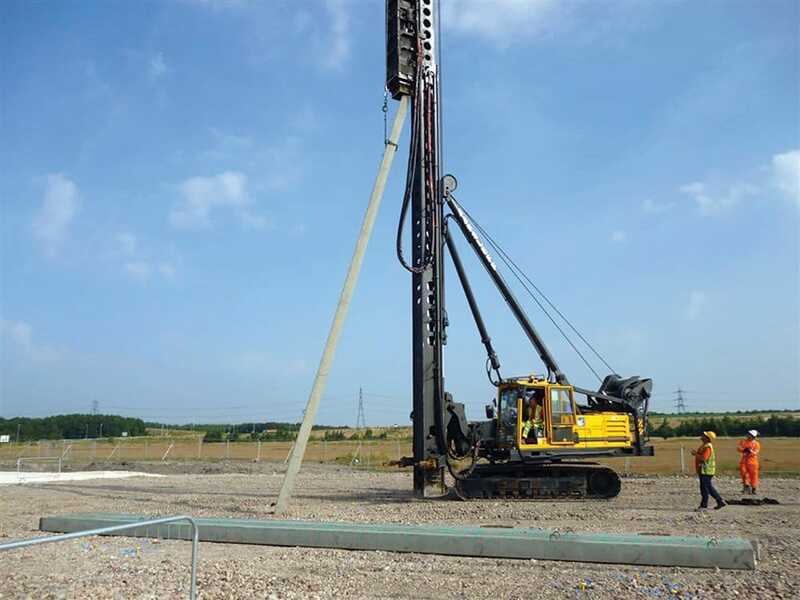 Then, due to a design change to one of the areas of the project, Kier instructed Aarsleff to manufacture and install an additional 185 piles, which they did in just over three weeks from receiving the design information – almost two weeks quicker than our original planned duration for the works.